Winter solstice at Newgrange would be a spectacular sight! I used this fantastic historically rich dolmen as inspiration when creating my fictional abbey setting with its own dolmen on Sierra del Torcal for suspense thriller, The Sacred Symbol and Elixa. The abbey is the main setting for The Torcal Trilogy. 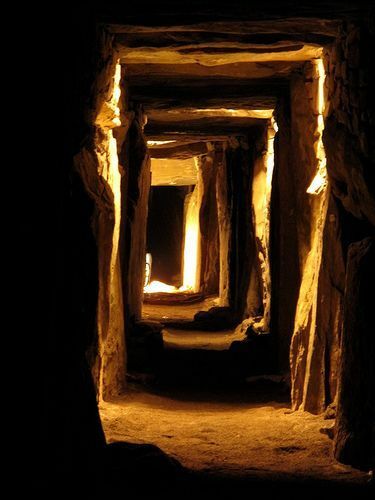 Here is how I imagined the light coming into my dolmen tunnel but this really is Newgrange in Ireland.